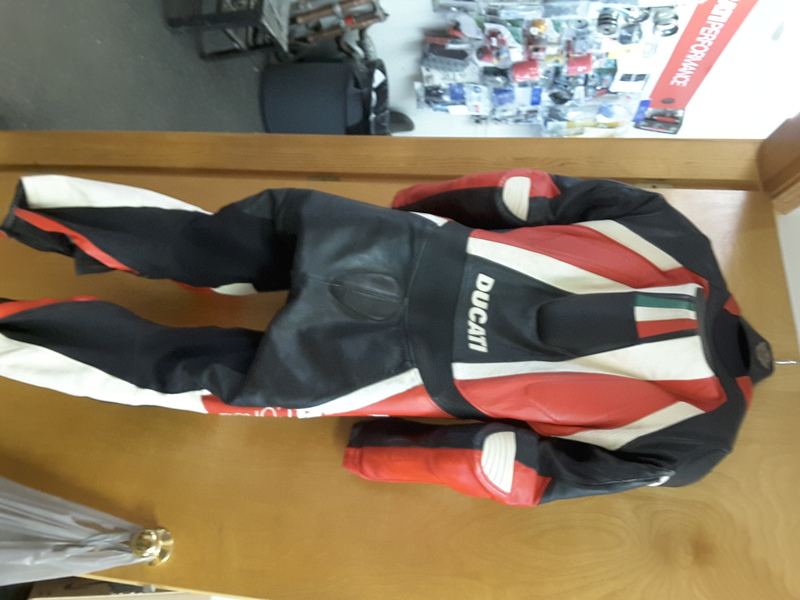 Ducati dainese Corse one piece leathers size 54 euro. I bought these used to be my rain leathers and they did not fit and i have never rode in them. for size I am 5"10" and 200lbs with a couple bad shoulders so I cannot contort like I used to. 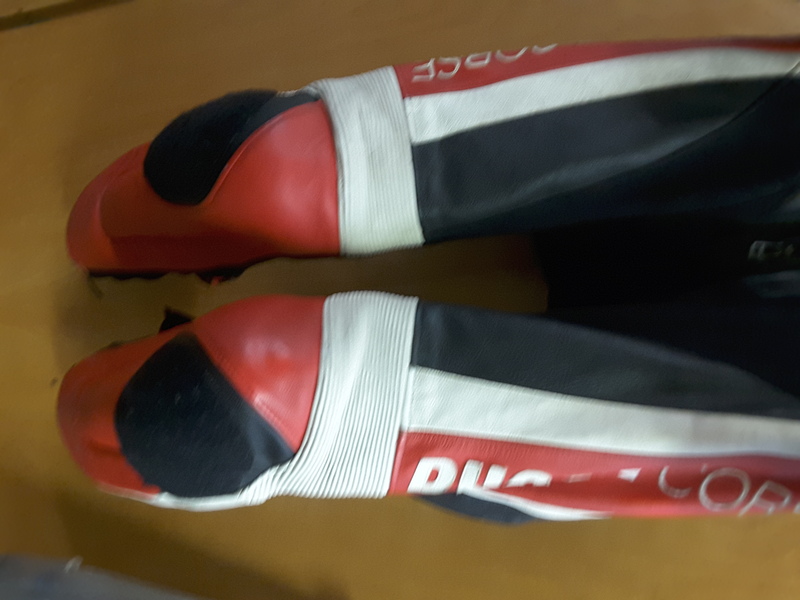 The knee sliders did not come with them so this is without sliders but I can include some new alpinestars sliders for added cost if interested. They were sold to me as never crashed but I did find a small spot on one shoulder someone touched up with black paint so I am not sure the history. 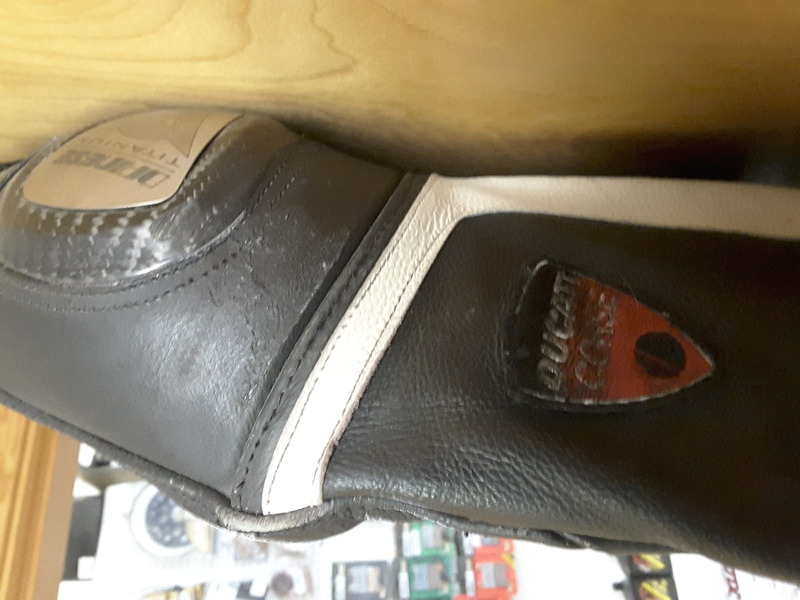 You have to know it is there and look for the scuff so cosmetically I would say they are a easy 90% I will show one close up of the scuff so you know what you are looking for (pic#4). Yes I could not get them over my shoulders. 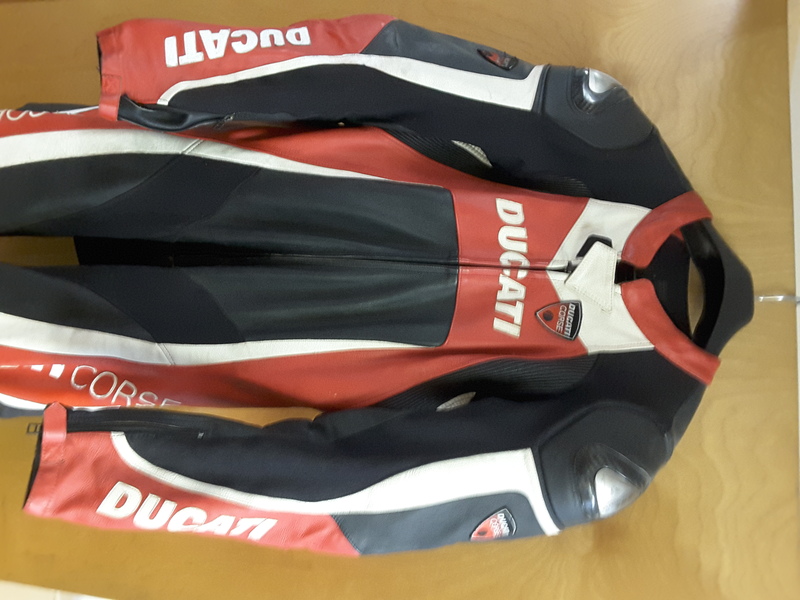 Fyi my old (90's era) dainese size 54 fit great but they changed sizing around 2000 down about 1 size. 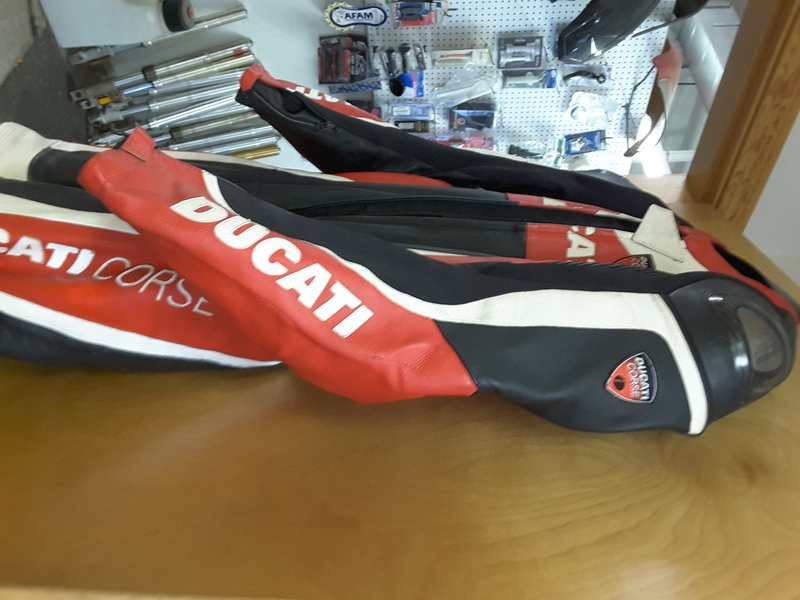 Alpinestars were larger but in the last few years they also went down a size.